What can Atlantik V2.1B do for your reef tank ? Just take a look at this clients tank where you will see that a picture is worth a thousand words. The Orphek Atlantik V2.1B incorporates 156 high quality spectrum perfect LEDs and with the highest PAR per watt in the industry. This tank was torn down and coral placed in a much larger tank. 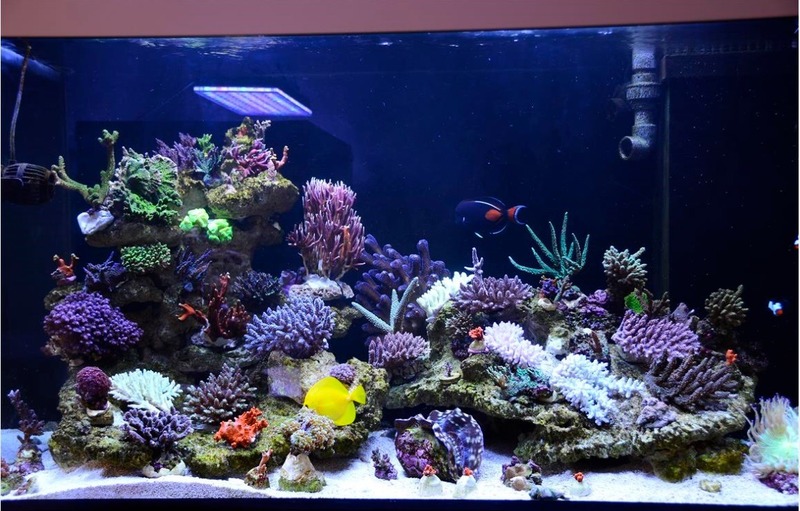 Client has told us that with the Orphek Atlantik V2.1B, the coral soon outgrew the tank. We are eagerly awaiting new photos from our clients new tank.